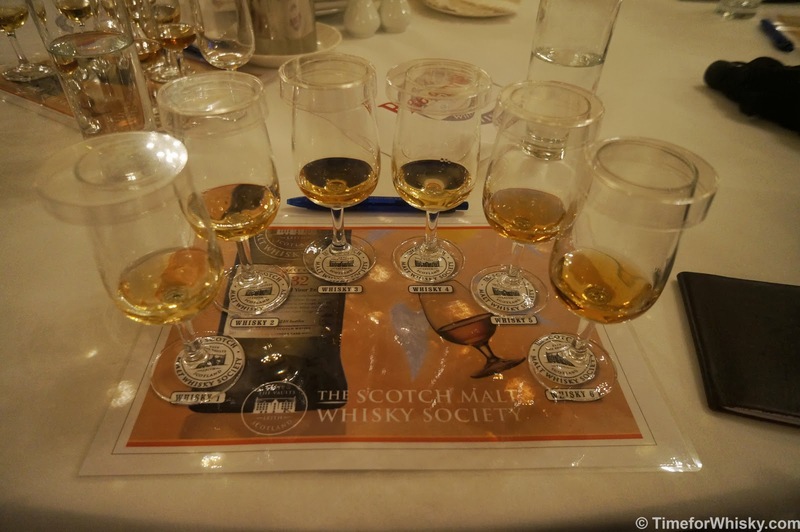 How do you describe the Scotch Malt Whisky Society (SMWS)? More than just a whisky club, and certainly more than just an independent bottler, the SMWS combines the best of these, adds in publications, one-off dinners and members-only bars, and uses their global reach (12+ countries) and extensive experience (30 years) to show everyone what truly excellent cask-strength whisky is. For those new to the SMWS concept - the independent bottler side sees them sourcing some of the best whiskies (grain and malt) from around Scotland and the world (and occasionally other spirits) in the form of single casks. They then bottle these at cask strength and sell them though the club. You might see anything from a 7 year old Islay to a 35+ year old Speysider, and while you might not know which distillery it came from (SMWS famously label their bottlings with a numerical code system and unique name only, although unofficial lists matching code to distillery exist on the Internet), you're guaranteed the whisky inside will be of an extremely high quality. 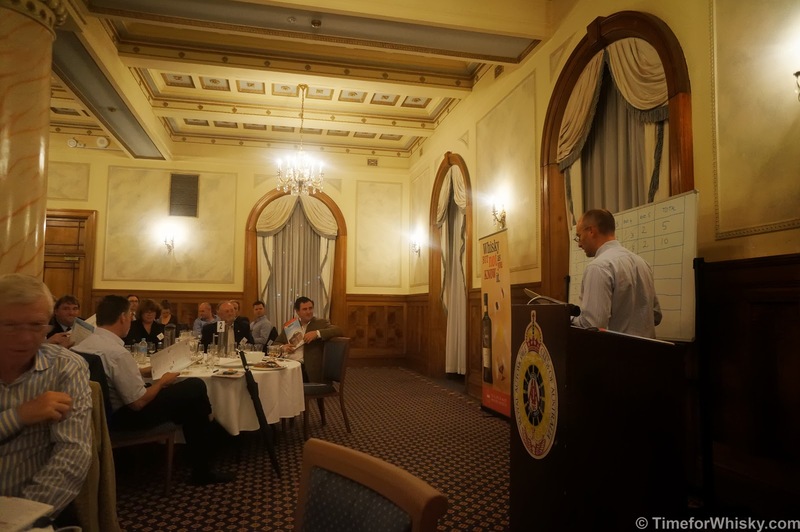 Up until a few days ago I hadn't yet joined, but last month I was lucky enough to be invited to the May tasting Sydney, by the entertaining and incredibly knowledgeable Andrew Derbidge (Cellarmaster and NSW Manager). 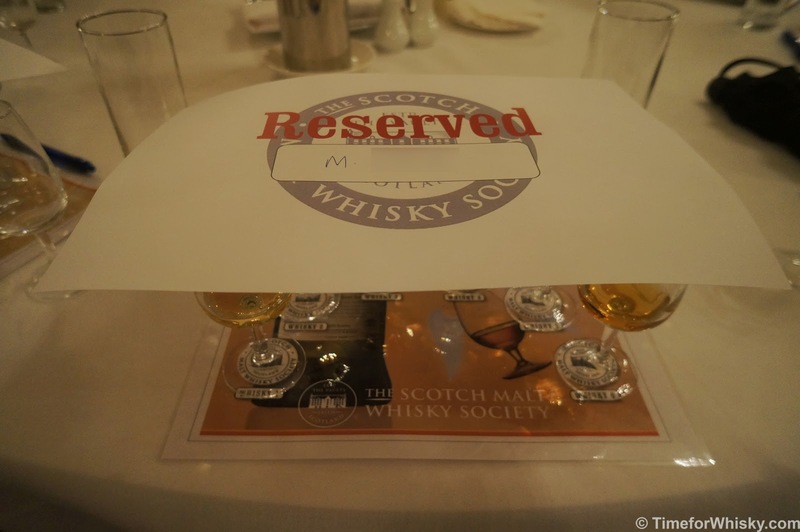 I'd been keen to get along to one of the SMWS tastings to see what it was all about, so this was the perfect chance. Whisky #2 (SMWS G10.3 "Promises sweet indulgences"), a 24 year old grain whisky (59.6% ABV) from Strathclyde Distillery (my first grain whisky, and coincidentally a #101drams dram too!). A big sherry hit on the nose at first (1st fill barrel? Nope, but seemed like it). A dash of cinnamon spice on the palate with the ABV (59.6%) clearly evident. The finish was long and very reminiscent of the breakfast cereal I eat every morning! A great entry into the world of grain whiskies for me. 90/100. Whisky #3 wasn't one we were asked to guess. Instead, we were asked to try #3 and #4 side by side and compare. The reason (we were later told) - #3 was a Highland Park 12yo Original Bottling (40%ABV), whereas #4 was also a 12yo Highland Park, but from the SMWS (SMWS 4.170 "Evokes the magic of Orkney" at 61.5% ABV). This was a brilliant way to show what the SMWS was all about - comparing two whiskies from the same distillery, same age, but one cut to 40%, vatted for consistency and caramel-coloured, the other cask-strength, single-cask, and with no added colouring. Needless to say the SMWS Highland Park, with its strong bourbon/vanilla nose (1st fill ex-Bourbon barrel), spicy vanilla palate and long, ginger finish, was the clear winner. 89/100 for #3, 93/100 for #4 (my favourite dram of the night). #5 (SMWS 78.40 "Tantalisingly sweet & savoury") - a 16yo Ben Nevis at 55.1% ABV showed a sherried, slightly salty nose, a complex palate with mostly sultanas and other candied fruits, and a butterscotch and vanilla pastry finish - long and enjoyable. 91/100. Last up, #6 (SMWS 3.195 "Cigar smoking dram") - a 14 year old Bowmore at 58.5% ABV. We were expecting this to be an Islay and at least got that part right - soft peat on the nose with a touch of licorice. Vanilla on the palate, still with the peat but reduced somewhat. A medium, dry finish with the peat smoke remaining to the end, albeit certainly not in huge quantities. 90/100. 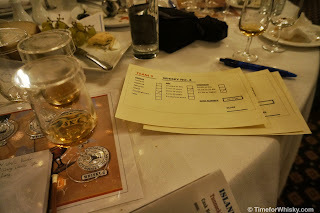 Prizes of 100mL SMWS samples were also given out throughout the night (often the only whisky if its kind in Australia) and I was lucky enough to score a sample of 2001 (12yo) Mannochmore at 61.5%. Overall this was a great intro to the SMWS and although the format differed from their usual, I have no doubt the regular tastings are just as good. I'll no doubt be back to future tastings! TimeforWhisky attended this tasting as a guest of SMWS Australia.